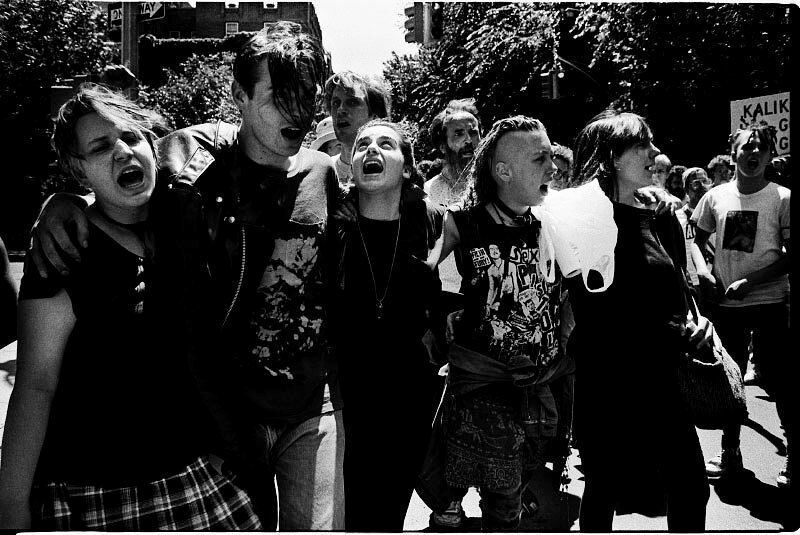 Nearly thirty years ago, on Saturday, August 6th, 1988, a full-blown riot had broken out at Tompkins Square Park. 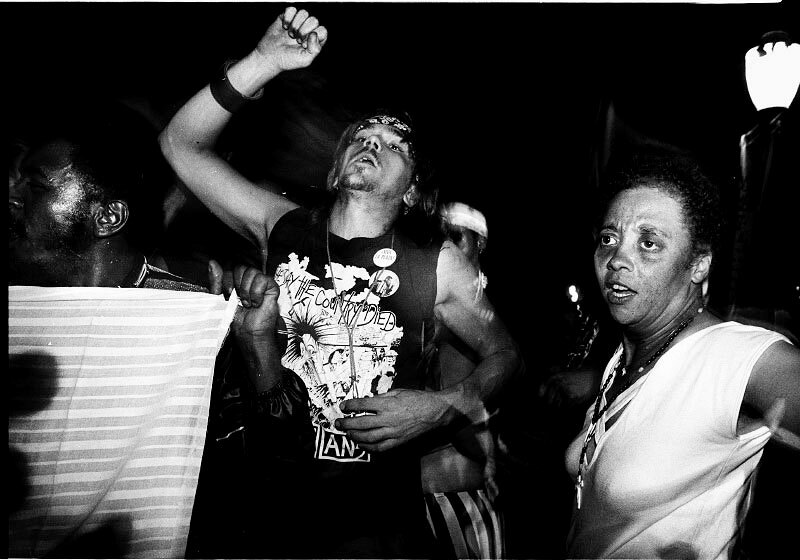 In the 80’s, Tompkins Square Park had built a reputation for itself fueled by controversy. 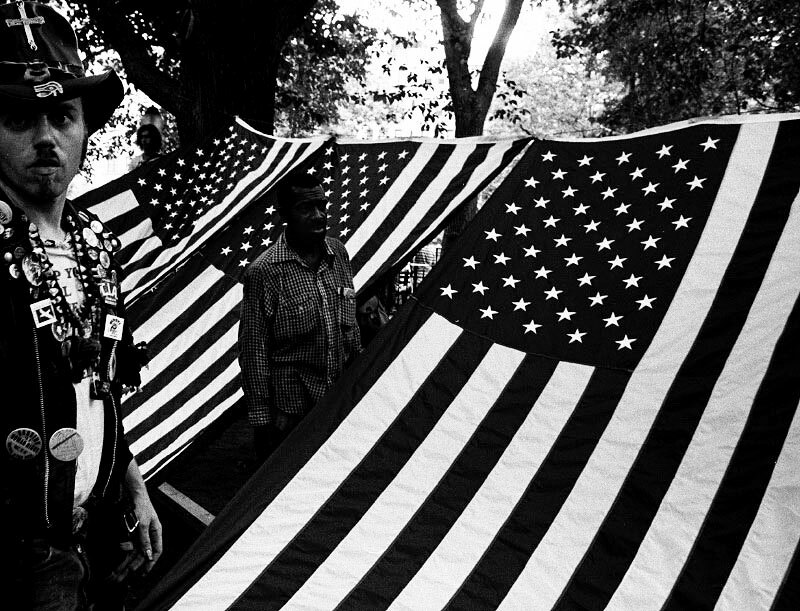 The park had become the embodiment of New York City’s socioeconomic problems and the widening class gap. 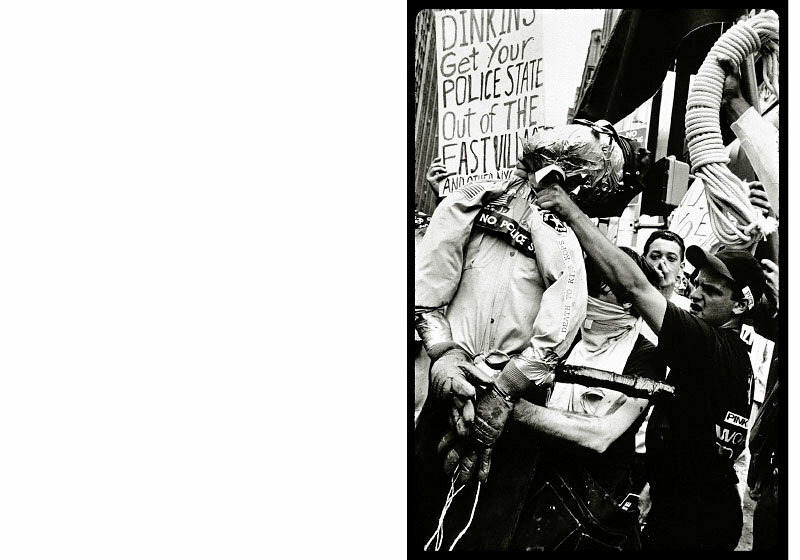 New York City was finally overcoming the economic slump of the 1970’s and the East Village was in the early phases of (dun-dun-dunnnn) gentrification. 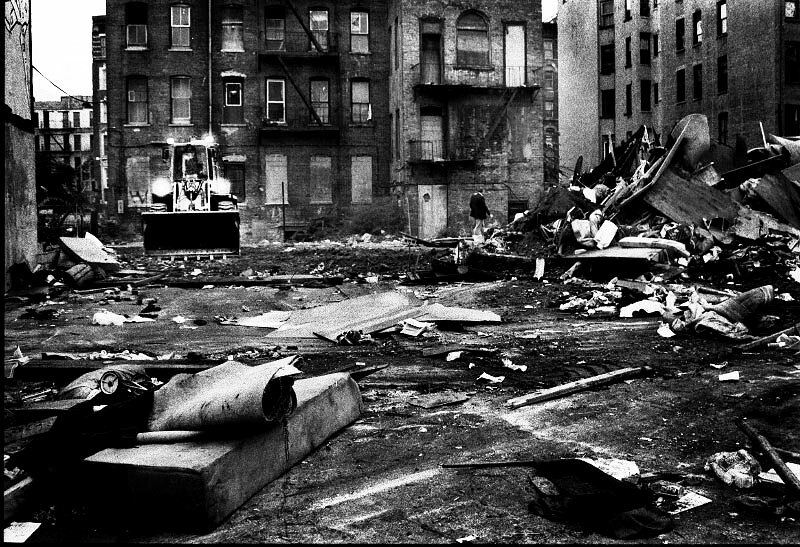 The city recognized the economic potential in demolishing low-income housing to make way for streamlined, luxury condos, and private real estate companies could jack up the rent in a neighborhood with little to no interference from the city government. 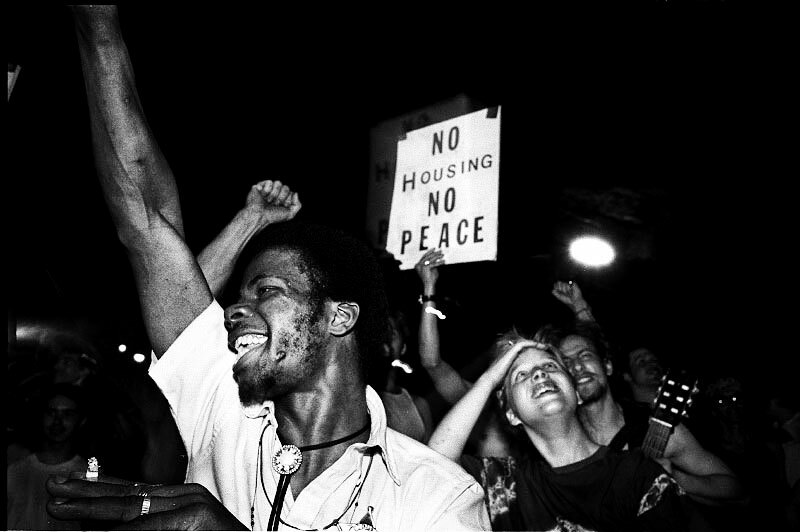 This overwhelming influx of people moving to the East Village only served to increase economic inequality between the classes. 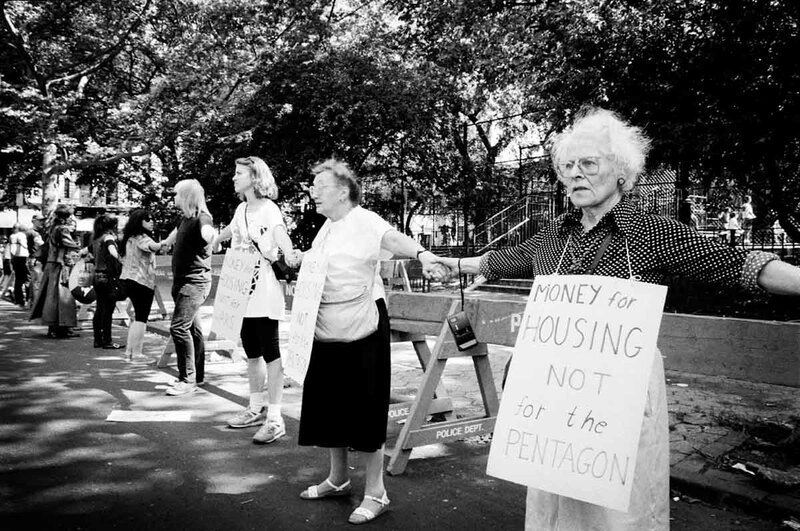 In the months leading up to the riot of 1988, over 150 homeless people called Tompkins Square Park their home. 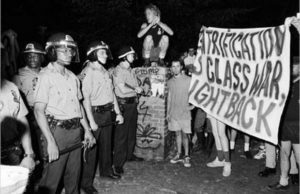 The park was notorious for drug distribution and use (particularly heroin), and residents in the neighborhood complained about all-night street parties, blaring rock music, and anarchic camaraderie. Many residents felt threatened by the increasing presence of the homeless in their neighborhood, deeming the park unsafe. 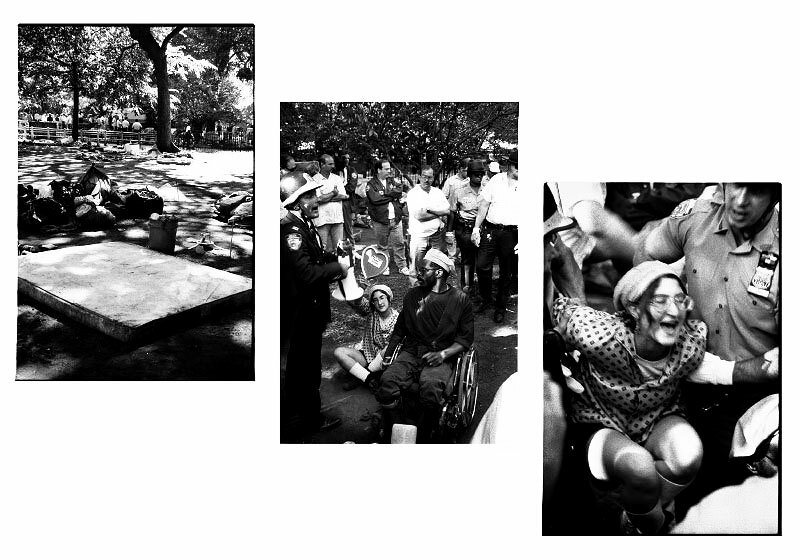 Tompkins Square Park had become a de facto homeless shelter and gathering place for the New Yorkers who were left homeless and excluded from the city’s vision for a greater New York. 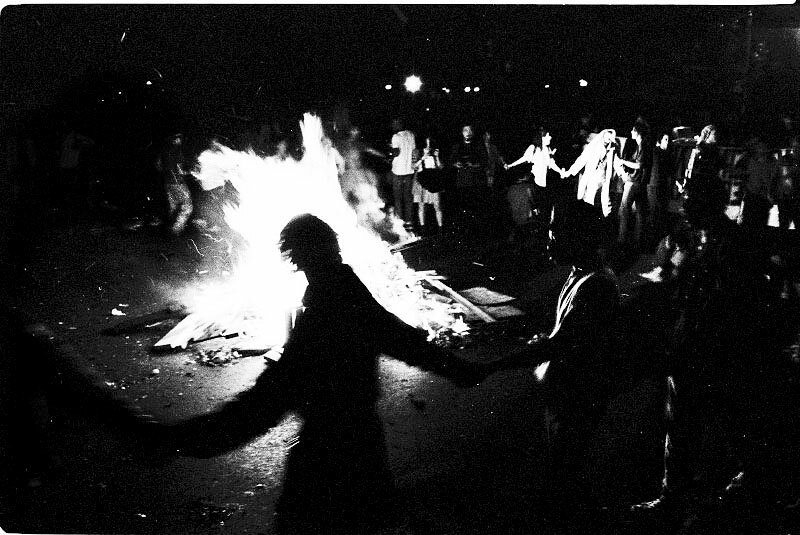 It’s unclear what exactly incited the riot. 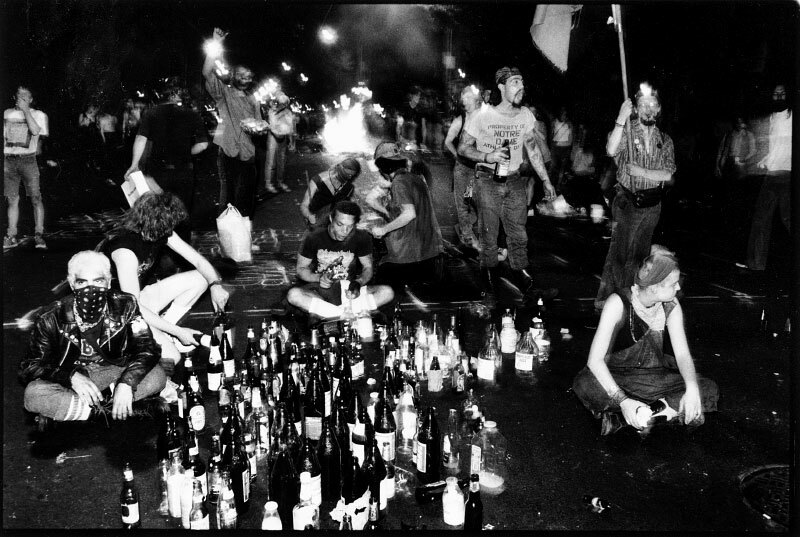 Protestors blocked traffic and some hurled bottles and bricks at police officers. 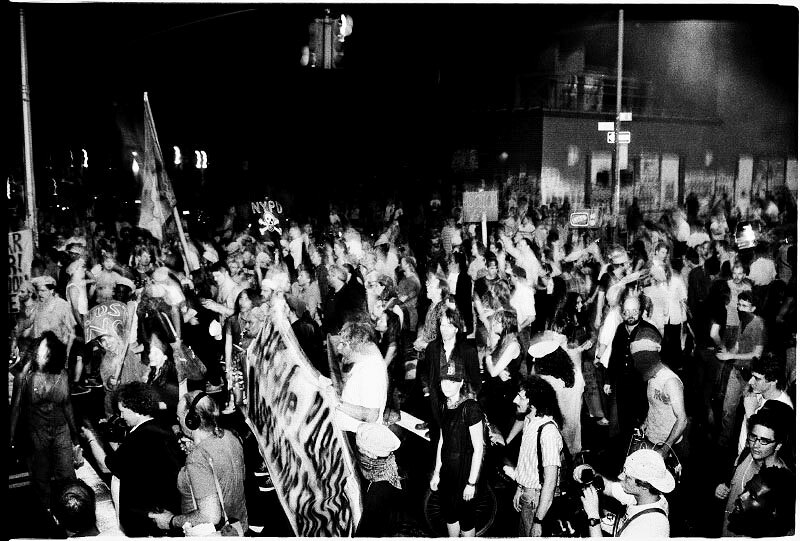 Police Captain Gerald McNamara called for reinforcements and Emergency Service units, then ordered officers to surround the park and warn pedestrians to not walk on the streets. About 400 police officers arrived. 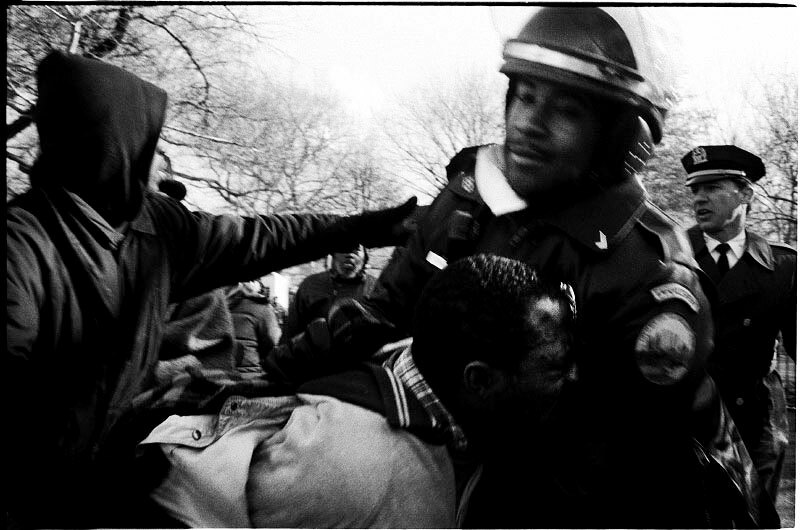 The New York Times reported that after hemming in the demonstrators in the park, police officers charged at the crowd. 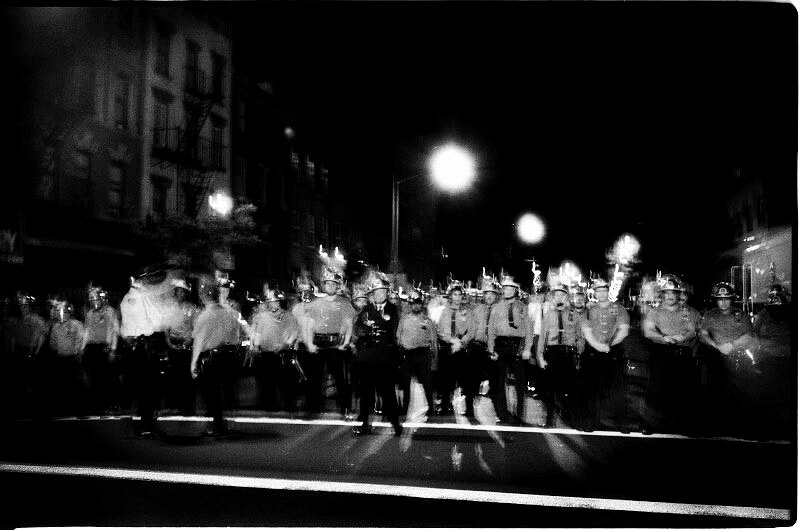 As people ran and scattered, officers chased the protestors on foot and on horseback. Many of the officers concealed their badges to protect their identities as they indiscriminately clubbed and beat protestors and uninvolved bystanders without arrest. 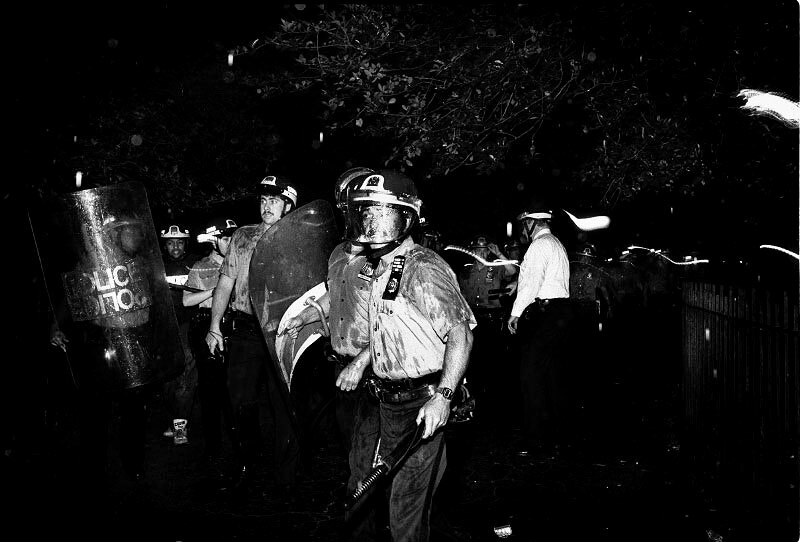 Tompkins Square Park had erupted into a full-out brawl between protestors and riot police, and didn’t stop until 6 a.m. the next morning. 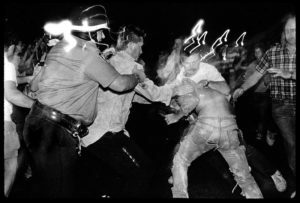 Much of the violence was documented on video, and news outlets aired the shocking police brutality that transpired on the night of August 6th, 1988. 44 people, 13 of them being police officers, suffered injuries “from bruises to gashed heads to a severed finger,” The New York Times reported. Nine arrests were made. 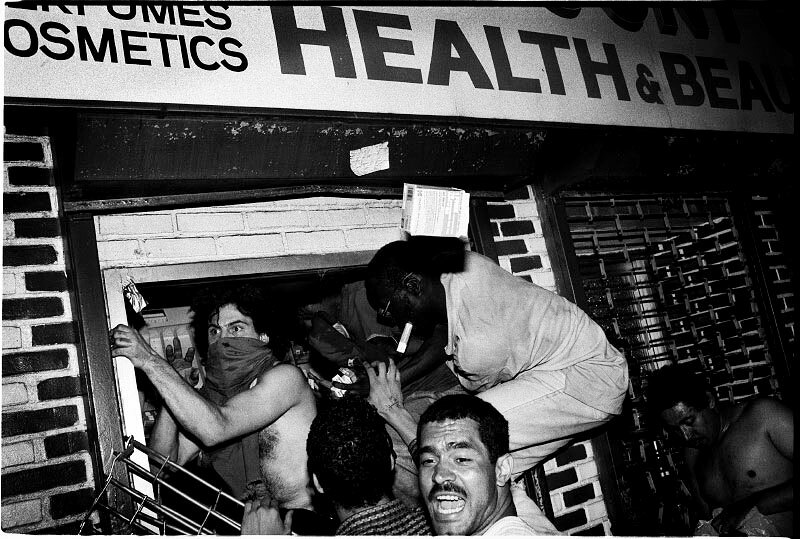 The New York City Police Department and media outlets were ubiquitous in their statements that the NYPD was responsible for inciting the Tompkins Square Park riot of 1988, but no police officers were indicted or found responsible in their violent response to the demonstrators. 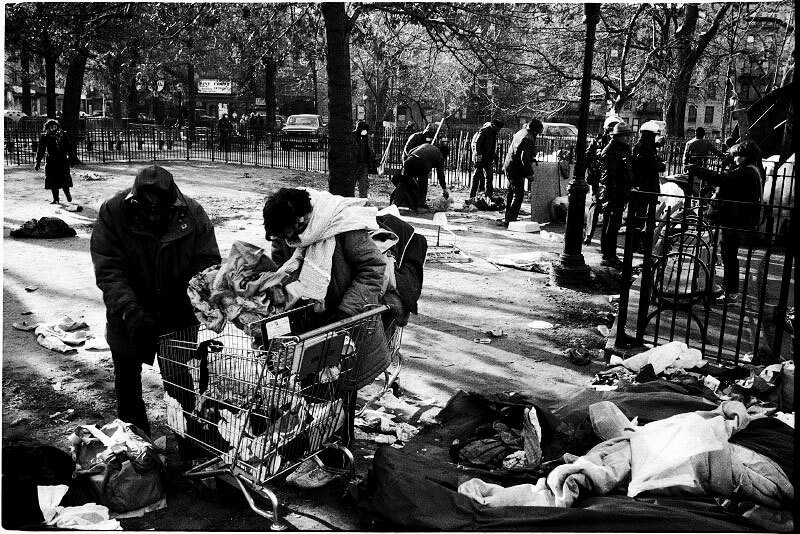 The New York City government eventually destroyed the homeless encampments in Tompkins Square Park in 1991. 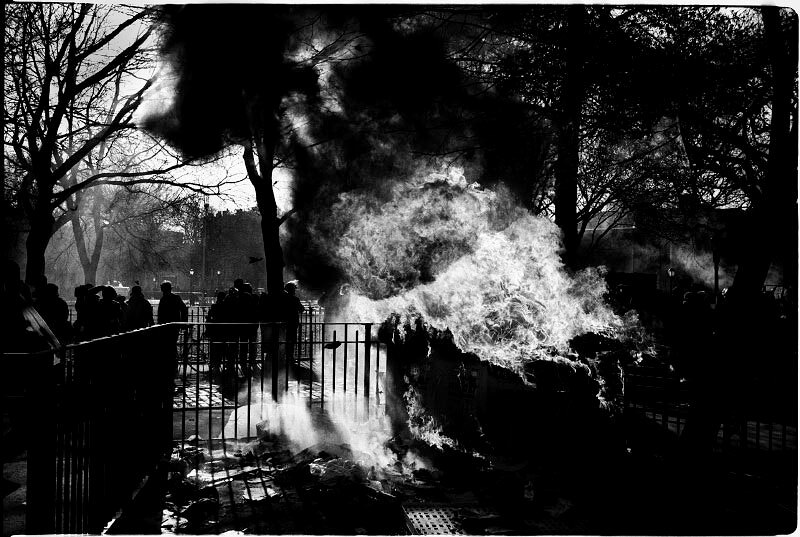 The park closed from 1991 to 1992 for restoration, even though the underlying reasons were to ease the tensions in the area and keep homeless people out of the park. 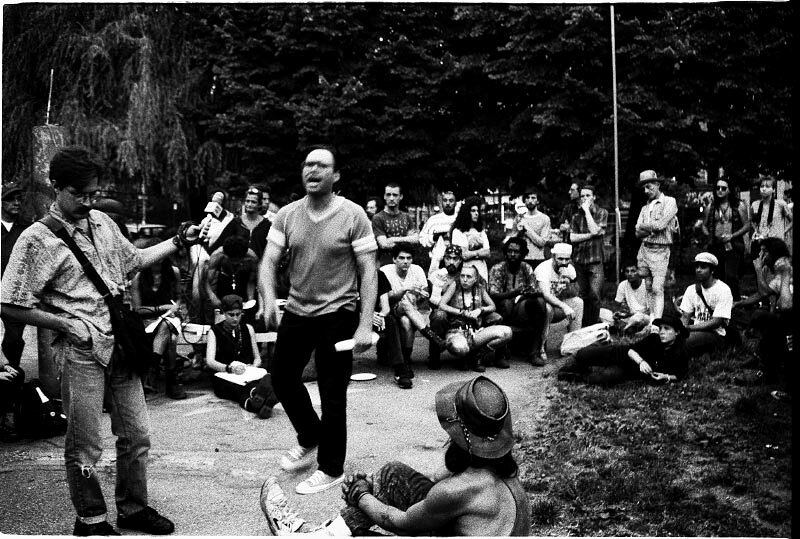 Since the nineties, increasing gentrification of the East Village and the enforcement of the curfew changed not only the landscape of the neighborhood, but the overall character and reputation of Tompkins Square Park as well. 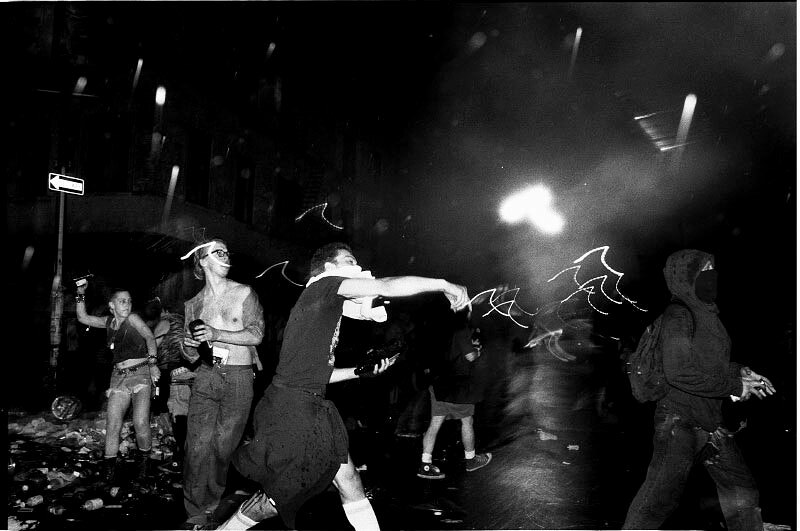 The following photos (captured by Q. Sakamaki) of the Tompkins Square Riot are to remind us of the police brutality that ensued on that August night nearly thirty years ago, and the increasing gap between the social classes that our city will have to confront.